Technical trading sounds, well, very technical. But it’s actually incredibly dynamic because it’s based on human psychology – it’s all about market sentiment. In the mid-18th century, a Japanese merchant named Munehisa Homma invented technical analysis for trading rice futures. His book, “The Fountain of Gold,” elaborated a method for trading based on market psychology – “when everyone expects the market to go down, that is the time to go long and wait for prices to rise,” he wrote. His work formed the basis of the techniques developed by stock market traders at the beginning of the 20th century in the USA when massive investment on exchanges created Wall Street. Since the era of floating exchange rates began in the early 1970s, foreign currency traders have widely adopted this approach to trading. 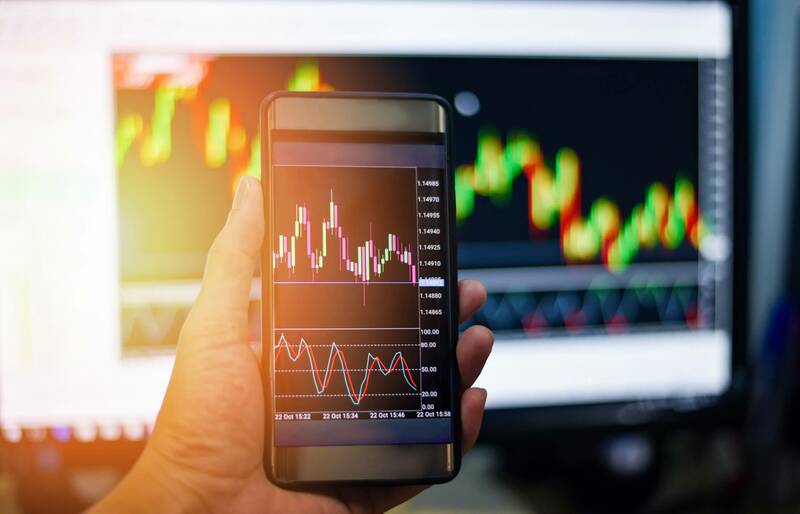 As experts at the Federal Reserve point out, currency-pair trends are more robust than those of stocks, so technical analysis became very widely used by forex traders all over the world. Currency trading means reading charts of past price movements to detect future trends. The fundamental terms of currency trading are ‘support’ and ‘resistance.’ You see the currency pair EUR/USD dropping to a certain price – let’s say $1, meaning that one euro is equal to one dollar. Every 15 minutes or so, for the past two hours, the price goes up, to $1.10, to $1.09, to $1.15, but each time it falls back to $1. It’s clear that $1 is the point of the support floor, that is the price is holding at that level. A forex trader seeing this might well think that the price will not fall below the $1 level, but will probably go up, and would go long in the pair. But how do you identify that future trend for certain – well, you can’t, but you can gauge increased probability by finding specific patterns in the charts that have, most of the time, resulted in a particular trend. Let’s look at some examples. This is a 5-minute chart for EUR/USD. The first thing that the reader will notice is the so-called ‘candles’ which appear at every five-minute interval. Here’s how a candle works: Candles that show declines in price are red, candles that show price increases are green (sometimes blue). So, in a red candle, the open price is at the top, the closing price is at the bottom, and in a green candle, at the top. If there is a wick, it shows the highest price in the five-minute period (which may be above the opening price), and if there is a wick at the bottom, the lowest price in the period. Across the bottom of the chart, there are time indications. At 04:30, there is an upside-down triangle pattern indicating strong resistance – and therefore a likely move lower. In fact, the three-bar reversal that follows indicates a reversal, although a weak one. Still, the trend goes down to the support floor before turning back again. Some forex technical analysis manuals will give you a long list of chart patterns which provide trend indications. While it’s useful to be familiar with these, it’s more important to identify the trend – patterns don’t always do what you expect, but a solid trend indication from a number of factors has a strong probability of fulfilling expectations. Combining this kind of chart reading with a stochastic indicator like RSA will help boost your confidence in a technical trend. We strongly recommend using the two tools together, although there are purists who eschew everything but the lines on the chart. As you grow more experienced in reading charts, you will be able to apply longer-term chart patterns. The king of these is the Fibonacci Retracement – a pattern established by long practice. Here’s how it works: A Fibonacci retracement is detected by taking two extreme points on a chart and dividing the distance between them using the Fibonacci ratios: Start the retracement, with zero, and then apply the Fibonacci number series through the endpoint. Fortunately, forex trading platforms will have an application to indicate this for you. Once levels are identified, horizontal lines (called trend lines) are drawn and used to identify possible support and resistance levels. It takes a little getting used to, but you will soon identify this pattern, which some traders actually follow for days and weeks at a time. Then there are trading strategies, espoused by some, which find very long-term patterns in the charts. The Elliot Wave approach is a good example, but there are a number of others. Supporters swear by these, others say it’s all bunk, and there is solid research to support both viewpoints. Experience is the best way to detect patterns and choose forex trading strategies. Experiment with different approaches as you trade, and use your trading journal to keep a detailed record of how it all worked for you.